Barn facilities and livestock equipment are particularly important for the herd's welfare and the viability of a livestock unit. 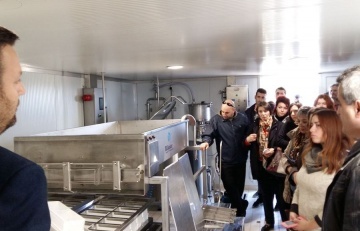 In particular, cleanliness of the barn, removal of manure, comfort in the resting area, protection against moisture, cold and infections, proper ventilation, easy access to the feed ration, proper feed distribution, gentle message to animals and abundant supply of clean water are all directly connected with the amount and quality of the milk produced, affecting efficiency and profitability. Milk processing is a delicate procedure. It requires high hygiene standards and plays a key role in the quality of the finished product. That is why, in family or small dairy units where production is not integrated, the selection of the appropriate equipment is essential. The MP Armektron milking system series is designed to meet farmers' needs and the particular animal temperament. They can be adapted to any space and are manufactured in accordance with the highest standards to ensure quality and efficiency. Milk is a delicate product that requires specific environmental conditions to maintain its quality. An appropriate milk cooling tank is the only reliable way to protect the capital of the dairy unit. In Milkplan, we see that as our task and responsibility. That is why our products stand out globally. MP Milk Transfer and MP CooLMilk Transfer ensure the transportation of milk everywhere. They comply with all specific standards required for the safety and preservation of the milk and maintain its maximum quality. Proper management of energy consumption and operating costs is indicated for farms with increased needs and for large dairy units. It is a particularly important factor affecting profitability and competitiveness while favoring environmental sustainability. 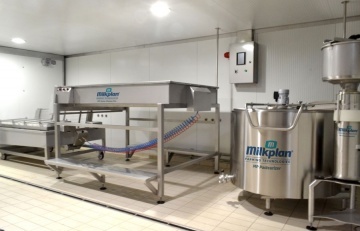 The solutions for maximum energy efficiency and cost saving by Milkplan focus on the full use of the operating energy of the milk cooling tanks and the minimization of energy needs for the cooling process. 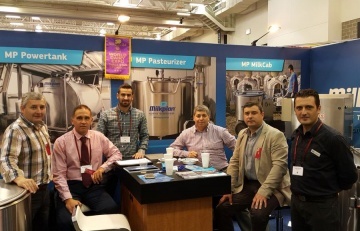 Milkplan is a 100% Greek company operating in the field of manufacturing and marketing of livestock equipment, milk transportation and cooling tanks, cooling systems and technological applications for livestock units. It holds a leading position in Greece and ranks among the biggest companies in the international market of livestock equipment. The strategy of extroversion that we follow continuously since 2001 has become one of the key components of our success. The company holds a leading position in the Greek market and increasingly strengthens its presence in the global market with its exports now reaching 81 countries. 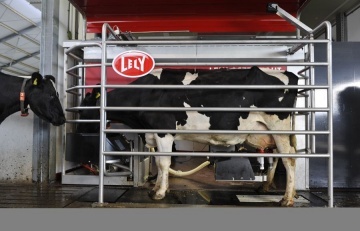 The 1st robotic milking system Lely Austronaut A4 in Greece is now a reality! Milkplan is proud to announce its strategic partnership with Lely, the world renown Dutch company of robotic systems and automation applications for livestock farms.